Rodrigo Duterte known locally as The Punisher has been elected president of the Philippines after competitors dropped out of the race to succeed outgoing President Benigno Aquino III. The results of May 09th election have made him the unofficial winner, in that all the ballots have not been tallied yet. Although investors remain apprehensive upon his victory, voters have become restive with a political system that is corrupt and run by coterie of elites. 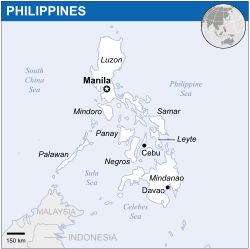 The Philippines have experienced rapid economic growth under the presidency of Benigno Aquino III. He was constitutionally limited to a single six year term. Despite the growing prosperity, inequality and extensive poverty remain major issues for the electorate. 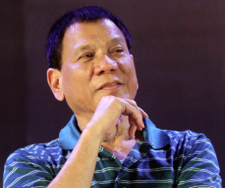 President elect Duterte who will assume office on June 30th has been the mayor of Davao, the 3rd largest city in the Philippines for 22 years. He is known to be a strong law and order advocate who has stated that he favors the use of death squads to execute criminals, which will then be dumped in Manila Bay. It is remarks like that have earned him a loyal cadre of supporters, as well as unease from other voices throughout the country. Outside his strong proposals on dealing with crime and corruption, Mr. Duterte has been quite vague on particular domestic policy proposals. As a mayor he was seen as being relatively pro-business, but his lack of detail and past comments have unnerved many investors and business leaders. Bonds, currency and stock traders are all somewhat worried, that in dealing with crime he may damage the domestic economy. Duterte has threatened to dissolve Congress if it attempts to interfere with his agenda in dealing with corruption. He has even said he would impose martial law if necessary, to deal with crime within the Philippines. It reminds some Filipinos of the recent authoritarian past. This period ended in turmoil and violence. It is no wonder that some fear a return of these troubled times. President elect Duterte seems to have a certain disdain for democratic procedures and divided powers within the government. He has already stated through his spokesman Peter Lavina that he will seek a national consensus for a revision of the constitution. His plan is to move from a unitary form of government to a more federal model. What Rodrigo Duterte wants to achieve is to devolve power away from the capital of Manila and the elites that reside there. The idea is to allow the many provinces of the extensive archipelago that comprises the country to have a greater say in governance. 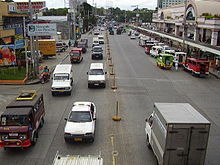 Manila, capital of the Philippines. This is part of his grand design, to take on the political establishment which he considers totally self serving and corrupt. Of course this select group will oppose the incoming President, when he begins the process to remake the present political system. Another step Duterte will endeavor to make is to offer overtures of peace to rebel groups in the south of the country. President Aquino has used military force to try to stem the insurgency. 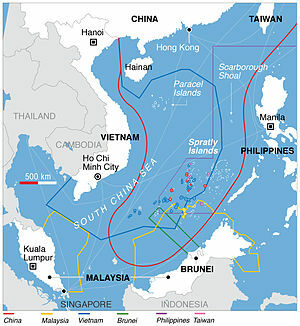 Territorial claims in the South China Sea. He also is proposing to step up the diplomatic pressure on China, in seeking multinational talks to check the growing Chinese influence in the South China Sea land dispute. Duterte wants negotiations to include Australia, Japan and most importantly, the United States. President Aquino has taken the step of asking the Court of Arbitration in the the Hague to recognize the right of the Philippines to exploit resources in the South China Sea. If successful this will hopefully reinforce the claims of other interested parties in the region that include Australia, Brunei, Indonesia, Malaysia, Taiwan, and Vietnam. Japan has its own dispute with China further to the north over the Senkaku (Diaoyu) islands. It is important to note, that Taiwan also claims these islands as well. They refer to them as the Tiaoyutai Islands. The Philippine economy expanded 6.9% in the first quarter of 2016. The country has now become the fastest growing in all of Asia, surpassing China. The Gross Domestic Product (GDP) has seen strong investment growth during the Aquino presidency and the benefits of that are now becoming quite apparent. Recently higher domestic consumption and a boom in construction have also helped bolster the GDP in the first part of this year. The economic policies of the outgoing Aquino administration, have led the Philippines to being bestowed with investment grade credit ratings for the first time ever. It has also permitted the best rate of economic growth that the country has experienced since the 1970’s. Although the incoming president has given speeches that are offensive and often entertaining outside his stance on crime, the position he would take on most issues remains rather vague. All he has committed to, is to hire what is considered to be the best economic minds. An adviser to Duterte has hinted that education spending will be increased as a way to benefit underprivileged regions. It is seen as the best move forward, in providing more opportunities to the millions of Filipinos that have not really experienced the benefits of prosperity. 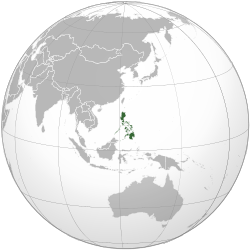 Philippines on a World Map. New investment in rural development, would naturally follow the promised electoral principle of spreading more wealth across the country. The imperative question for investors and officials is how will these new initiatives on poverty be paid for? The response that massive additional funds will be found through the pursuit of corrupt officials and the legions of tax evaders, has cast doubt by many on his overall economic plan. Some of the most controversial pronouncements of the incoming president are those that pertain to proposed peace talks with Marxist guerrillas. His offer of government roles to the Communist Party of the Philippines (CPP), including its exiled founder has raised eyebrows in many political circles. Although many Filipinos will agree that maybe the time has come to end hostilities with the CPP and its armed wing the New People’s Army, it is under what terms that the contention arises from. The decades of ongoing fighting has brought death to 40,000 citizens, mainly in the east and south of the country. The electorate has long since tired of the struggle. It is still not clear what direction the new president will take the country in. Despite the animosity that Duterte may have the the old power elites, he is still highly unlikely to take steps that would derail the economic prosperity that has been created. The political cost for doing that would be far too high, even for a maverick like him.